The Edinburgh Art Festival remains a slender operation compared to many art events, with just seven new commissions this year, relying heavily on partner shows. But this summer Edinburgh boasts a new pavilion, thanks to Jupiter Artland, the sculpture park whose co-founder Robert Wilson is also festival chairman. The 2017 festival (28 July-28 August) takes as its theme, The Making of the Future: Now, from the title of a pamphlet by the 19th-century town planner and conservationist Sir Patrick Geddes. He looked forward to a future after World War I where “art and industry, education and health, morals and business must.... advance in unison”. The festival encompasses 45 exhibitions in 35 venues this year from British Realist Painting at the Scottish National Gallery of Modern Art to work by Mona Hatoum and Stephen Sutcliffe. The film installation at Gladstone Court by Shannon Te Ao, a New Zealand artist of Maori descent, is a highlight of the festival commissions. With the sun aglow, I have my pensive moods is mysterious, absorbing, and ironic. The work is a worthy follow-up to the success of the New Zealand pavilion at the Venice Biennale this year (by the part Maori artist Lisa Reihana). Sited in a one-time 19th-century asylum for “fallen women”, with a staircase of displaced New Zealand and Scottish plants lending a rich aroma of foliage, the piece weaves a Maori lament of a girl infected with leprosy, with scenes of tribal lands intersected by electricity pylons, and a wandering herd of cows. Jupiter Artland continues to grow in stature as it approaches its tenth anniversary next year, and this year adds Pablo Bronstein’s The Rose Walk to its permanent outdoor collection. 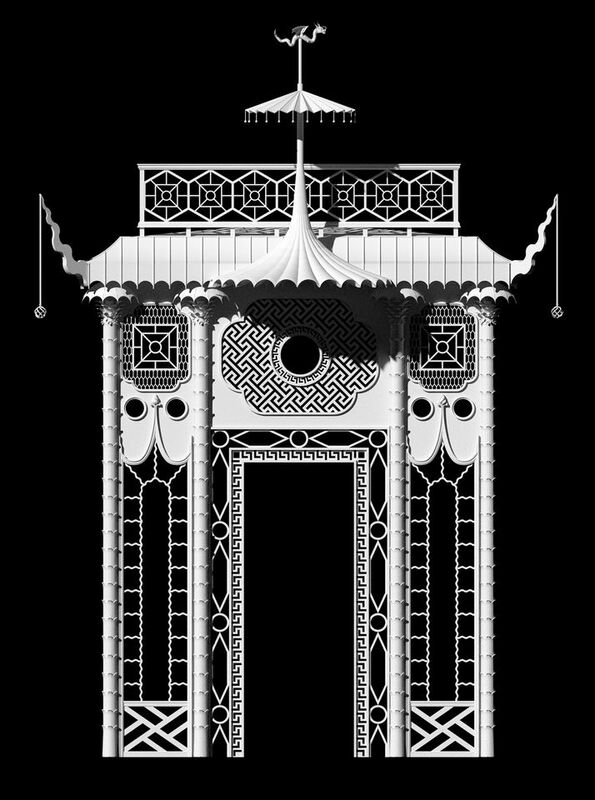 The piece joins two ten-metre-high pavilions, in Gothic and Chinoiserie style, facing each other across a rose garden walk, and will host performances this summer. The Italian, Glasgow-based artist Marco Giordano has designed an avenue of body part sculptures, with motion-activated water sprays to bless approaching visitors. Meanwhile, the announced closure of Inverleith House, in the Royal Botanic Garden of Edinburgh (RBGE), as a contemporary gallery provoked a furious reaction last year. The festival marks its first outing under a new remit for contemporary artists responding to the setting and collections at the RBGE. 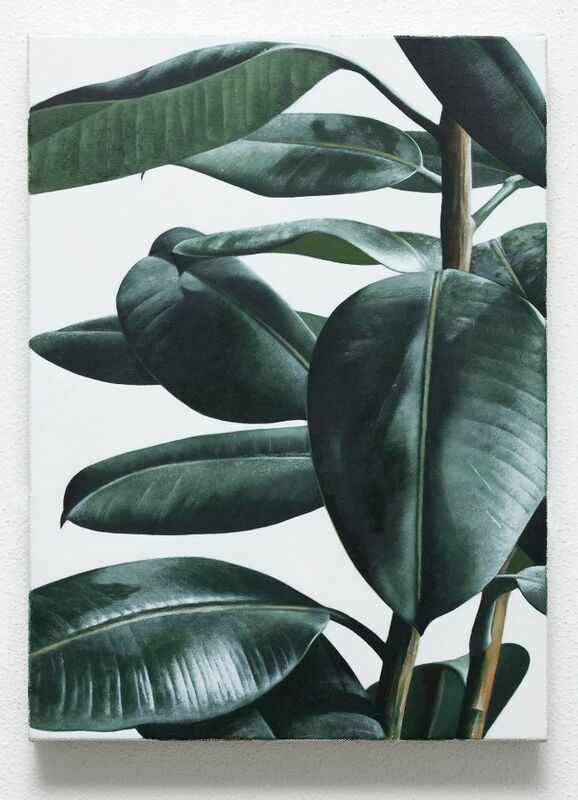 Artist Laura Aldridge has dotted carpets of nature prints with oversized evil eye amulets. Impressive sculptures by Bobby Niven, whose work separately appears in the commissions programme, are inspired by collections of seedpods and fruit. Rediscovered 19th-century botanical landscapes by RK Greville charmingly show constructed scenes of countries he never visited. Photorealistic paintings by Oliver Osborne and screens and wall prints by Charlie Billingham drawn from 18th- and 19th-century satires also feature. A major new contemporary space is due to open in Edinburgh next year when the Collective Gallery takes over the refashioned City Observatory on Calton Hill, after a £4.5m revamp. In a temporary space this summer it shows a film by Scotland’s Ross Little, on the curious life of cruise ships, augmented by a tank of jellyfish. The exhibition is sponsored by UK Jellyfish, suppliers of jellyfish and associated food supplies. An audio piece by Patrick Staff exploring the alternative history of Calton Hill, an Edinburgh landmark and once celebrated for its night-time gay scene, is also widely anticipated. Partner exhibitions in the festival include solo shows by Scottish artists Douglas Gordon and Graham Fagen at the Scottish National Portrait Gallery, which is also celebrating pioneering 19th-century photographers Hill and Adamson. Another international Scottish name, Toby Paterson, is developing a new sculptural work in Edinburgh’s Old Town. He lamented the state of a previous festival commission, artist Martin Creed’s £250,000 marble overhaul of the Scotsman Steps, the famous staircase descending from the city’s North Bridge. A visit confirmed it is badly in need of a clean, if not a polish.